You are at:Home»Best Of...»The Best Female Characters from Superhero Shows: The Top 10! It’s time for the final installment of my list of the best female characters from superhero shows. Be sure to check out 50-41, 40-31, 30-21 and 20-11. Let me know if your favorite character was snubbed! Like many superhero protagonists, Peggy Carter is beyond belief in how perfect she is. She’s smart, strong and capable enough to get out of any crisis. But, that doesn’t mean we don’t see her human side. The show finds a rare balance in making an identifiable and empathetic character out of such an amazing hero. Wendy Watson is the protagonist of the cult superhero show The Middleman. She’s atypical in that she was a slacker who was surprised to be pulled in the world of superheroes, but behind her sarcastic attitude she has the spirit of wanting to help others that makes someone a hero. Jessica Jones is not just a capable and brave hero who stood up to a terrifying villain at her own risk, the character is also a deep and unflinching portrayal of trauma survival. The dryly sarcastic Raven is the most emotionally withholding member of the Teen Titans. But, as the show goes on it reveals more of her inner demons and we see both her strengths and vulnerabilities. Sara Lance is a unique superhero in that she will sometimes join a group of assassins when she’s feeling it. Her superhero story is less about always doing the right thing and more about going through life without letting your mistakes define you. Over four seasons, Thea Queen has gone from Oliver Queen’s angry, self-destructive sister to a superhero in her own right. Through that entire journey, she’s stayed a strong, loyal person who believes not only in justice, but in honesty and trust. Liv Moore lost her entire life when she became a zombie. She became isolated from everyone she cares about. But, she also found a new way to help people and began to take pride in her abilities, even knowing what the cost of them is. She’s a true hero who puts helping others above everything else. 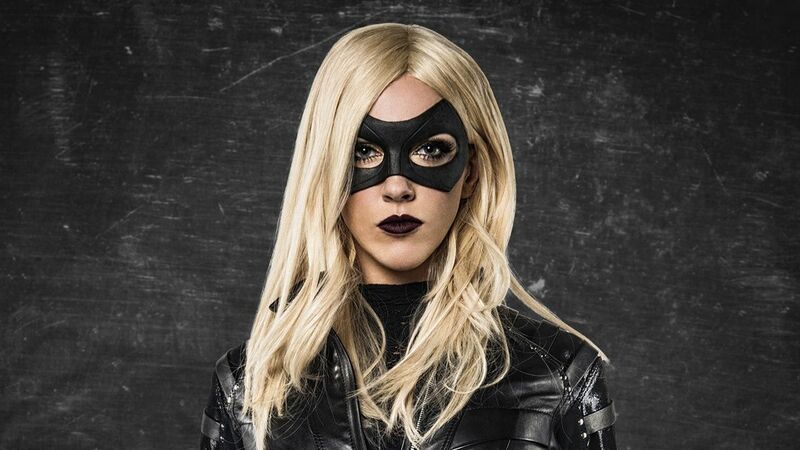 This incarnation of Black Canary is not just a vigilante superhero who’ll stop at nothing to be “the justice you can’t run from,” not just a lawyer who believes in working with the system and will challenge Green Arrow when he oversteps, not just a compassionate friend and sister and daughter, not just a portrayal of addiction and how strong people can still be deeply vulnerable. She is all of these things. She’s one of the most complicated characters I’ve seen on a superhero show, while still being a deeply good person trough and through. What makes Starfire incredible is that she’s naive and trusting and insecure. None of these qualities stop her from being a great superhero and none of them stop her from being loved for who she is by the people around her. I’m so glad that young girls getting into superhero shows have a character like Starfire to relate to and be inspired by. Pop Culture Spin Managing Editor Lenny Burnham is a writer/comedian in New York City. He hosts the podcast The Filmographers.